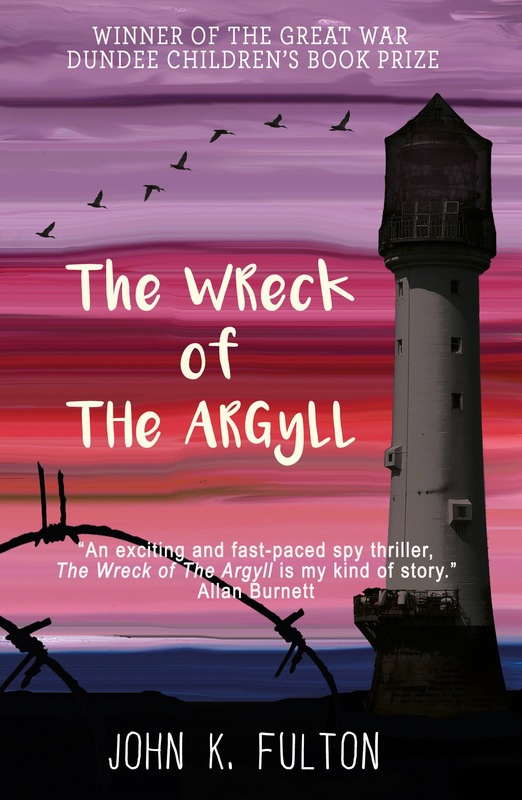 In one week, my book, The Wreck of the Argyll, is being launched in Dundee. It’ll be the first time I’ve been back in Dundee since the prize ceremony back in March, when it was announced that I’d won the Great War Dundee Children’s Book Prize, and I’m really looking forward to catching up with everyone from Dundee libraries and schools. It’s been six months since the winner of the competition was announced, and it’s gone by incredibly quickly. Helen Sedgwick, my editor at Cargo, helped me lick the book into shape, and there was the excitement of seeing the cover for the first time, and the even greater excitement of opening up my box of author copies. I’ve written a guest blog for the Cargo Publishing website, and the book has appeared on online bookstores across the Internet. It’s even had a review on Amazon already (thanks, Lindsay!) so as long as no-one else ever reviews it, it’s a five-star book forever. I’ve uploaded the book details to Goodreads, and done a couple of give-aways, one on Twitter, and another on Goodreads. I’ve set up author pages on Amazon and Goodreads, too. That was a weird feeling. I almost felt like I was trespassing, and someone would be along in a minute to chase me away. But no, as it turns out, I am an actual author now, with a real book just a week away from publication. I’ve even had an invitation to talk about my book at the Wigtown book festival, which is both exciting and terrifying. I’ve kept busy on the writing front, too. Since winning the competition, I’ve done a restructure and rewrite of my Pictish dragon book, and completed another book to first draft. To be quite honest, I have no idea what to do with these books – if I hadn’t won the competition, I’d be polishing the manuscripts for sending around agents, but I’ve been a victim of my own success because my path is no longer so clear cut! I knew what I was doing when I was failing all the time – the process was nice and clear. Submit, wait, receive rejection, mark another failure on the spreadsheet. I don’t even know how you go about looking for an agent when you’ve already got a book published. Anyway, that’s all for the future. At the moment I’m going to concentrate on enjoying the launch of The Wreck of the Argyll. Roll on next week! Have an excellent time mate! Hope your talks go well and stuff.